The deep, cushioned and welcoming seat of this beauty is made to take your breath away with its stunning looks and sumptuous texture. 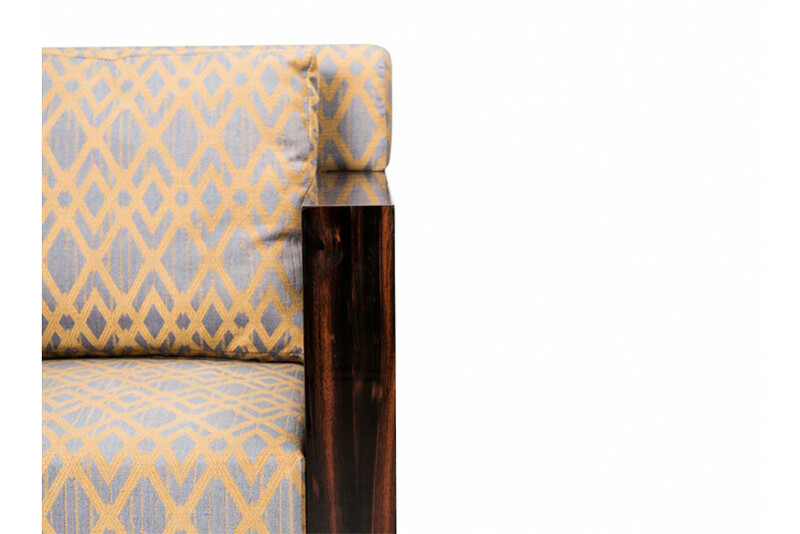 Its appealing color palette and lavish upholstery, gives it an international appeal. 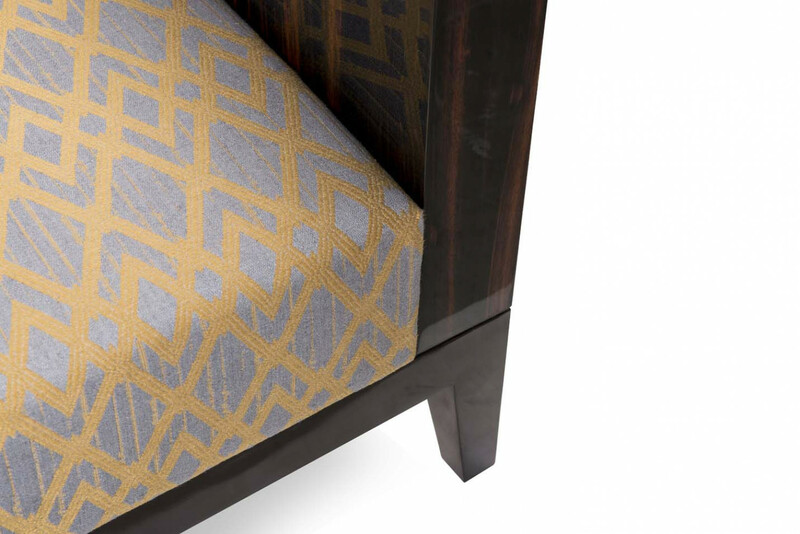 Designed with a masterly equilibrium between the creative play of warm, earthy tones and the wooden work, it is constructed with the brilliant craftsmanship and attention to detail. 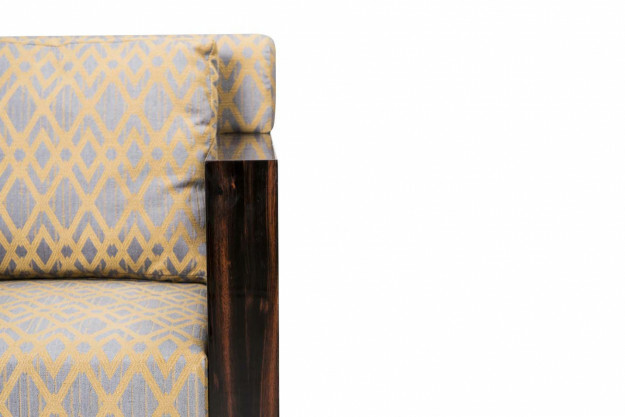 The armrest is structured in ebony veneer with tapered short feet to ensure a high end living experience.